Richer Unsigned is offering the opportunity to appear on the Riverside Stage at the fabulous Cornbury Festival in Oxfordshire over the weekend of July 13-15 2018. 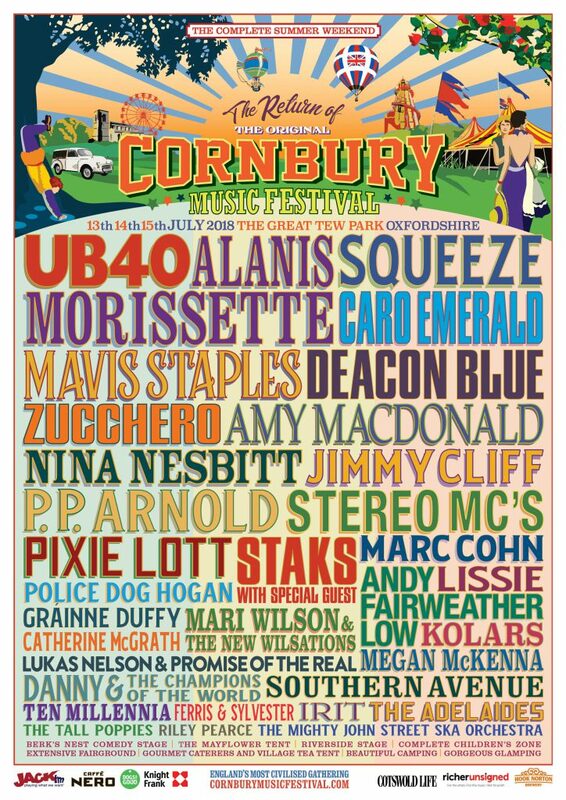 Now in its 15th year Cornbury offers a very diverse musical mix, this year ranging from Alanis Morissette, UB40 and Squeeze to Jimmy Cliff, Amy MacDonald and Deacon Blue. It’s a small family festival described as ‘a farmers market with a dancefloor, a village fete with a rock ‘n’ roll twist’. Entrants should email a short Youtube clip of their material for consideration no later than Friday June 1st to RicherCornbury@gmail.com Those selected will perform sometime over the weekend and will be provided with some simple festival backline, weekend tickets with camping and have their expenses covered.